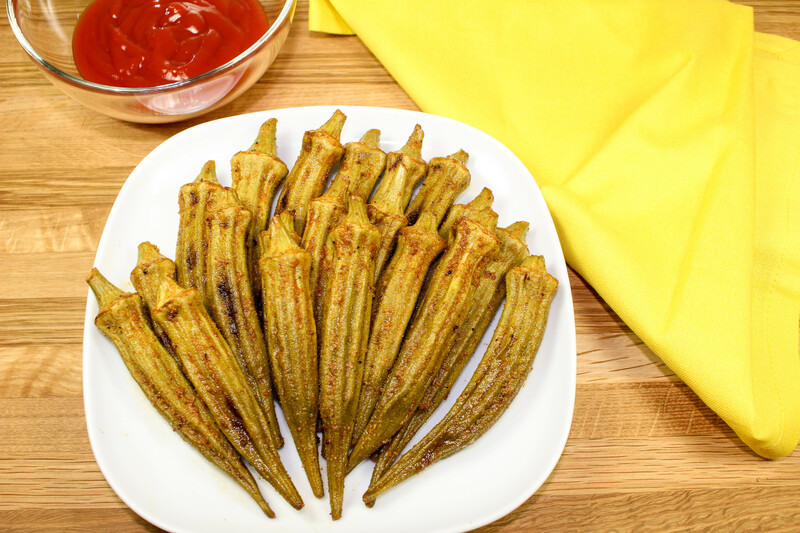 Cajun Baked Okra is the perfect side dish for any meal! Packed with Cajun seasonings, crispy, & easy to make. Baked not fried! 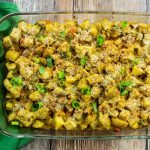 Weight Watchers friendly recipe-2 SmartPoints! If you are from the south, or anywhere close, you probably have a deep love for fried okra. Fried okra is a classic staple at any seafood or southern comfort restaurant. Crunchy yet puffy little bites of goodness… like little pieces of popcorn. So good! I remember always being so happy when I mom would make fried okra at home as a kid. Years ago I went to a restaurant in Texas and they had charred baked okra on the menu. I had to try it! Not fried, but crunchy and addictive! My Cajun Baked Okra is a nod to one of my favorite childhood side dishes. 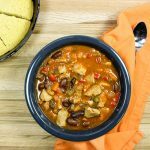 Packed with Cajun flavor and healthy! This is a Weight Watcher friendly recipe and each serving 2 SmartPoints. For years, I had no idea what fresh okra looked like and I’m sure I passed by it at the grocery store a million times. Okra is one of those vegetables you really don’t think about. I’m sure some of you reading this might have not had okra much. It’s definitely a southern food! Okra is typically in gumbos, soups, or fried. Lately, I’ve seen a trend of grilling or baking okra. Ever since I tried okra that wasn’t fried, I’m hooked. I thought okra was only good fried, but I was wrong. Baked okra is delicious! 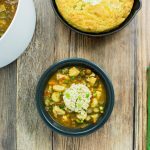 If you haven’t had okra, I recommend making this recipe… This recipe is no fuss and takes less than 30 minutes to make! It’s a great start to introducing okra into your pallet. My husband is not from the South and LOVES IT! Okra can sometimes be slimy, especially if you are not going to fry it. I know it may sounds odd and I’m sure that’s why people are deterred away from okra! The trick to making sure okra doesn’t get slimy is to toss it in lemon juice. Also, I leave the end caps on the okra to bake them; this also helps with the slimy factor. Don’t eat the caps though; they are not that good! 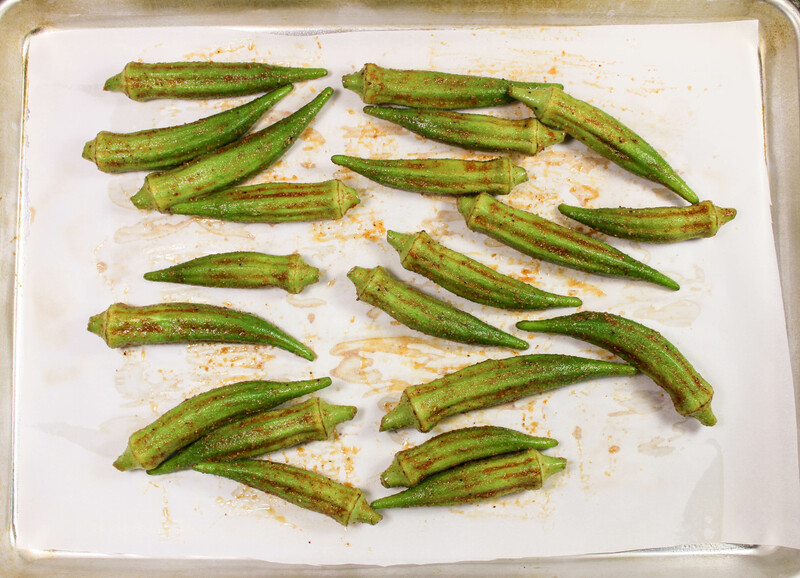 After the okra is cleaned, toss the okra in lemon juice, olive oil, and Cajun seasonings. The Cajun seasonings I used were basically the same seasonings as I used for my Blackened Catfish. If you don’t want that much spice, you can omit the cayenne pepper. After the okra has been coated in the seasoning, bake in the oven at 450 for about 25 minutes and that’s it!! Cajun Baked Okra is the perfect side dish for any meal! 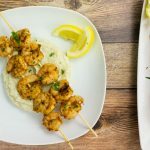 Packed with Cajun seasonings, crispy, and easy to make. 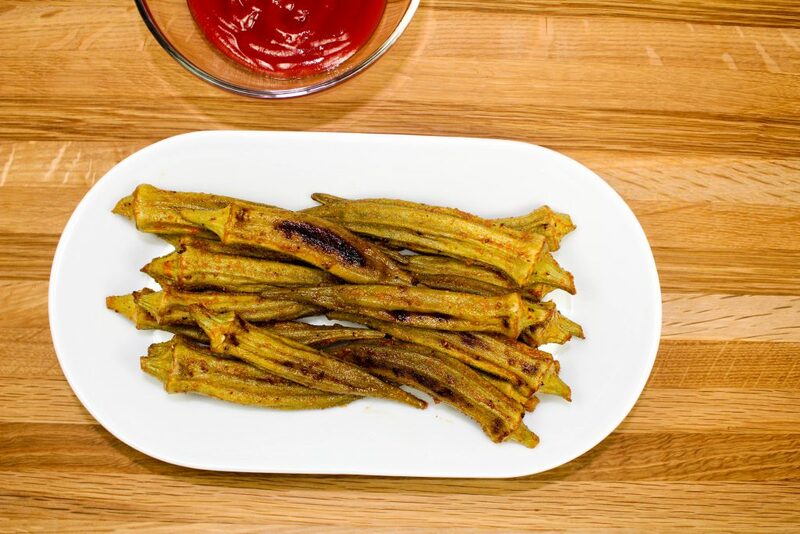 This is a great alternative to make if you love fried okra but don’t want to guilt. In true Texas style, I like to serve this with ketchup :). Only 2 Weight Watchers SmartPoints per serving! Rinse okra and pat dry. In small bowl, mix salt, pepper, smoked paprika, garlic powder, onion powder, cayenne pepper, and cumin. In zip lock bag, add okra, olive oil, lemon juice, and spices. Shake bag to coat okra with spices. Lay okra on baking sheet in single layer. With a spatula, turn okra on other side and cook for another 15 minutes. November 13, 2016 at 2:32 pm It really takes okra up a notch :)! Thanks so much for commenting Bridget! August 14, 2017 at 8:23 pm My okra was soggy did I do something wrong? August 15, 2017 at 8:52 am Oh no! I'm sorry to hear the okra was soggy. Did you add lemon juice to the ziplock bag to coat the okra? Lemon juice should help keep the okra from being soggy. August 31, 2017 at 7:21 am I'm gonna try this and stuff it with cheese, kinda like a jalapeño popper, thanks for the idea. August 31, 2017 at 10:02 am Oh yum!! That's a great idea Travis! !